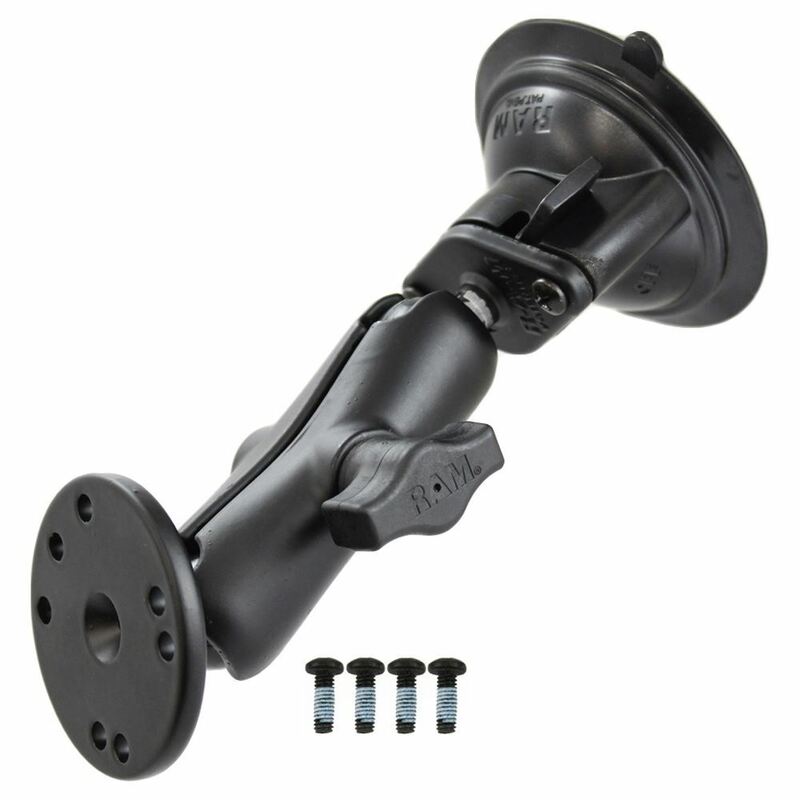 The RAM-B-166-202U by RAM Mounts consists of a 3.3" suction cup twist lock base, STANDARD length double socket arm and round base adapter that contains the universal AMPs hole pattern. The mount is designed with a RAM 1" diameter patented rubber ball and socket system that has adjustment points at both ends of the double socket arm; this allowing for almost infinite adjustment and perfect viewing angles. The suction cup base is designed to have a strong hold on glass and non-porous plastic surfaces, including RAM adhesive disks. The hole pattern found on the round base adapter will connect to most RAM cradles and 3rd party cradles.